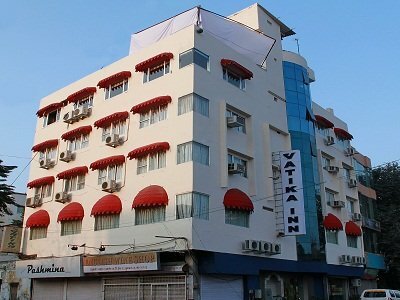 Set in a beige building in the city centre, this bright, budget hotel is 2.3 km from the City Palace and 2.6 km from the Lake Palace. The simple rooms feature free Wi-Fi, tea and coffeemaking facilities, and flat-screen TVs. Upgrades add sitting areas, and room service is available. Parking is included. Additional amenities include an outdoor pool and a lobby lounge with a TV.